Oh, I wasn't paranoid enough? Can't blame the weed this time, dude. But does a clear head necessarily help make sense of things? Do we wanna make sense of things? If I take a slow, lumbering walk along foggy cobblestones, perhaps my night ends better if I never see the lurching figure in the distance. With as skittish as I am, however, my pace lifts on the assumption there's always something watching. Belgium's instrumental two-piece Sunken have issued a demo loaded with swelling and retraction, continually exercising caution until it simply can't handle another moment of restraint. When they loosen their grip, it's immediate and fierce. The timed chaos is birthed of a simple, minimalist format that slugs out a unique precision, particularly when you find elements of noise, sludge, and doom metal. Tight for being loose and loud for being tempered, the five tracks here rattle and bulge, never allowing too much comfort. Don't let the opener fool you. On Patterns of Despondence, the slow unfurl of corridor whispers and timid tip-toes hashes into a flaring stomp. 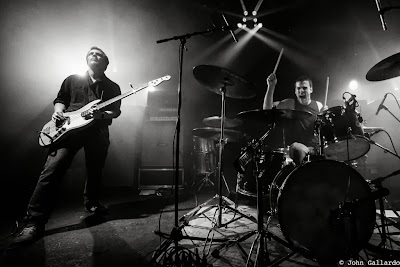 Heavy on cymbals and riding a bass-fuzz glaze, Sunken perfect the whisper-to-a-crash approach. Gutteral pleas are immediately snuffed amid pensive, deliberate rhythms. Simple production lends itself to your punchy paranoia, and the crash of Dislocated's thick reverb breaks through your best attempt to sleep. As smoke billows and grows stagnant, the crunch dances and the sticky groove takes you out back to make you stink. Sludge expands without a flinch, and we've lost our way without losing our focus. Drop Out could serve as a cornerstone in Bass Tutorial 101. 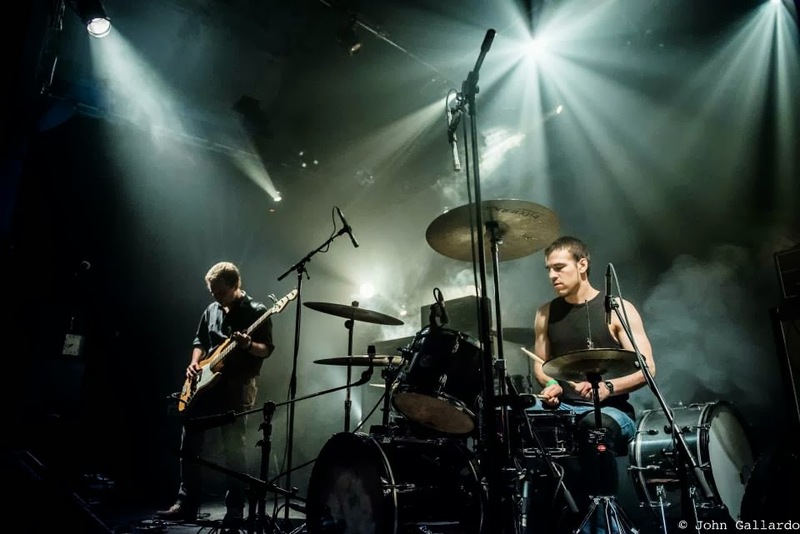 Fill your schedule with the Kick Drum Clinic and wait for the progressive experimentations to result in devastation, tearing apart seams with hard and fast hits. Here Sunken are tightly wound and strung with bubbled thumbings, moving from sheltered to snarling. Don't worry about time in this spaced-out vacuum. A better question may be whether or not Sunken are too smart to sound this good. The closing tandem of Unwilling (pt. 1 and pt. 2) catches its breath under a multitude of masks, with the bouncy pt. 1 unleashing a twitchy sludge that's noisy but never unlistenable. The tempo staggers and spits into pt. 2, the harder, slower, and filthier half-brother. There's more structure on pt. 2, but this merely allows for greater collapse. Doom cadence and Sunn O)))-drone influences are flexed on a hovering expansion. Incessant crashing and a heady clip of smoke and horrors cash in on the rising costs and increased demand. We only get five tracks, guys? Sunken scratch and tick throughout this demo, whether it's via A. 's subterranean bass or J. 's precision thumps. What many would call a rhythm section is a bundle of nerves that leaves listeners thankful Sunken keep it simple. The sound is allowed to breathe, the neurosis isn't hidden, and the pacing is gonna put a strain on your frame. Nearly a half-hour of Tom Tykwer nail-gnawing is probably more than you thought you could handle. Curiosity got the best of us, and now we can't stop looking.